By Dylan Langlois in Freelance. Updated on August 4, 2016 . As a freelancer, you have a lot of things to take care of. Not only do you have to work on meeting your deadline and communicating with your clients, there are also various other tasks that you need to complete to ensure that your business runs smoothly. If you’re tired of those tedious tasks that comes with freelancing such as contracts, invoicing, timesheets, and proposals, then why not give Motiv a try? Motiv is a revolutionary app that simplifies all of those tasks and will re-invent how you work. Let’s take a look at what Motiv can bring to the table. When you start out creating with Motiv, it comes with a 5 step process. You begin by choosing of a template from the dashboard: a contract, invoice, project, proposal, form or quote. I have chosen the invoice template and I can now create an invoice by filling out simple fields like the client name, price, project, and date on the Motiv invoice creator. After we are finished filling out the necessary information for an invoice, we now have the choice to either download the invoice PDF, send it to an email, or print the invoice. This page also has a discussion section and invoice creation history section which displays the changes and additions you make on the invoice. Motiv invoices can be set up for payment to be made via Paypal. One of my favorite features is that Motiv will display stats showing you whether the invoice was viewed, how many times it was viewed, and whether or not the payment has been sent. With these 4 steps, the developers of Motiv have made contract building a simple and organized task. 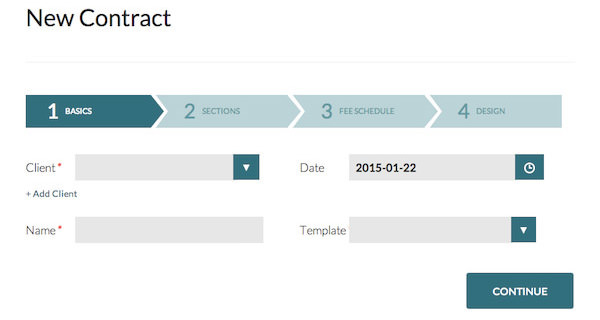 You can also add your own custom sections to the individual steps to create a contract that would suit you best. After we have created our contract, we can then send out the contract to a new client and have them sign it electronically. Similarly with invoices, the contracts have stats that show when and how many times they viewed it or if it has been signed by the client. You can set up a timesheet to log hours and generate invoices instantly. The Motiv time-tracking function is available on the web app and you can also install it for Windows and Mac. This feature saves a lot of time and you never have to log your hours outside your invoicing app again! Clients can often forget or lose documents you send them, but with Motiv, clients can easily log into their own dashboard and access any documents without the need of having you re-send it back to them or the hassle of sending documents back to you via scanning and emailing. Along with the client dashboard, you may want to use a custom domain name with your business document solution. With Motiv, you can easily setup a custom domain to go along with your account thus helping to improve your overall branding strategy and company reputation. If you’re interested, you can try it out for 30 days for free. After that, you can sign up for the $15 plan which applies to all users. 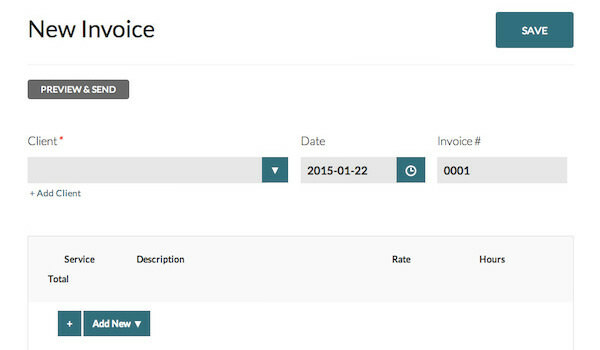 Time-tracking feature to make invoicing a breeze. Integrate your own website domain with your Motiv account. Ability to see if a client has opened your documents. Clients can create their own accounts and login to view documents which require immediate action. 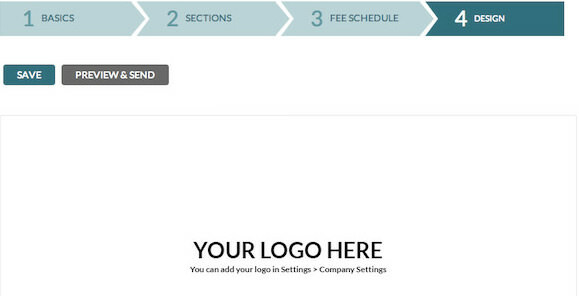 Brand your Motiv site and documents with your own logo. Contracts include important terms and clauses to protect freelancers. No Dropbox, Evernote, Google Drive, or SkyDrive support. No messaging between freelancer and clients (Other than using e-mail contact forms). Motiv truly re-invents keeping your invoices, contracts, proposals, and quotes in line with its various features. It allows you to easily build professional and relevant contracts that will keep businesses protected all for a reasonable flat price. I recommend Motiv for any freelancer or business (small or large) to centralize your invoicing and business document management.